A review for my car from a survey. I purchased it used in 2016 for a decent price with relatively low mileage and all the bells and whistles. I drove it for 10 years with very little mechanical issues, including no issues with the coils that others have written about. I kept up the normal maintenance, used premium gasoline, and made sure to get regular oil changes. I really loved this car, I loved driving it, and was not looking forward to letting it go, but by 10/27/15 I was starting to think of getting a new vehicle as I was getting older and getting in and out of the car was getting more difficult, and putting 42 pound bags of cat litter in and out of the trunk was also becoming taxing. However, someone in a Dodge RAM truck took the name of his vehicle too literally, and t-boned my maxi, totaling her out. Sad end to a very reliable and fun car that I was looking forward to passing on to someone who needed a car. 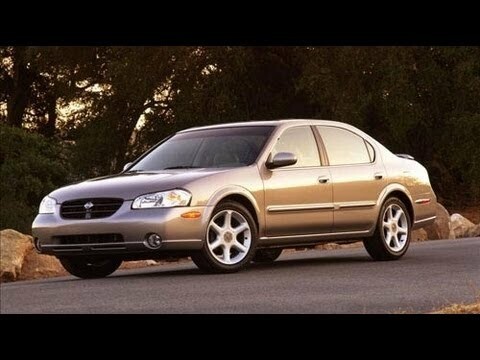 Nissan maxima, to buy or not. It is a nice start out car for a younger individual, and honestly could be a semi-nice family car. My biggest issue is they have awful ratings with their tires, it does not matter where or what you buy, the tires somehow manage to leak against the rim. The air conditioning sometimes will mess up, but overall the car drives very nice and mine has hundreds of thousands of miles on it and I have no major issues. Very reliable and Nissan is a good brand of car that will last for some time. I believe that it is a very reliable car that I have few mechanical issues with. This care is spacious on the inside to be able to sit comfortably with 4 grown adults. This car also had a good height off of the ground that makes it convenient to get in and out of. The car is getting older so now make many different squeaks and must have a little help with the first start in the morning.